If you are planning a fishing trip to the Outer Banks or North Carolina coast, one of the first things you are going to need is a good map. 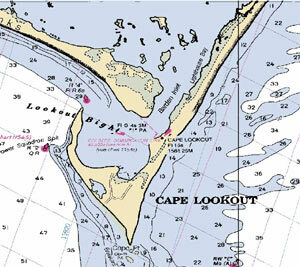 The following Outer Banks maps and maps of the NC coast are great resources, but be careful before using them for navigational purposes. 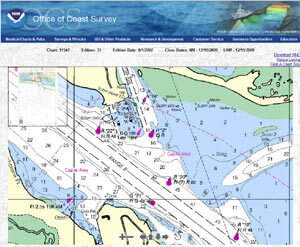 Either a good GPS, the Electronic Navigation Charts (ENCs) listed below, or ideally both, can provide much more accurate data to keep you on track and off the shoals. Great maps of all the NC coastal and Outer Banks inlets including COLREGS Demarcation Lines that clearly show where inland waters end and the Atlantic ocean begins. These maps are pretty large, so be carefull if you are on a slower connection. 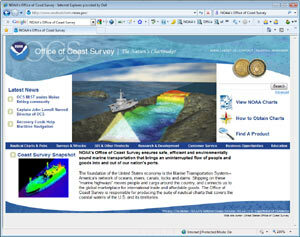 NOAA now provides Electronic Navigation Charts (ENCs) that are fully interactive digital maps that can be downloaded to your personal computer. Below are a few of the ENCs and some available software for viewing the ENCs. The free viewer has been tested by our staff and works well, but the paid software products have not been evaluated yet. If you have or do use one of the following software packages, drop us a line a let us know what you think. From looking at the features and screenshots, these great tools might soon make a laptop for your boat just as essential as a GPS. 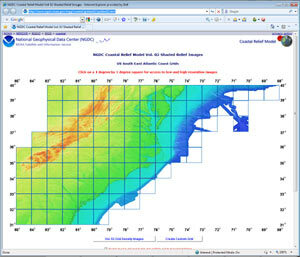 NOAA's National Geophysical Data Center provides scientific stewardship, products, and services for geophysical data from the Sun to the Earth and Earth's sea floor and solid earth environment, including Earth observations from space. There are a lot of tax dollars at work here and it would take you a few weeks to check out everything on this site. If you are technically savvy and are looking to get more data to help you find the new fishing spots before everyone else, this site is for you. A few links to sample data are provided below, but the NGDC has everything from topo maps, bottom sediment data, to magnetic anomalies.